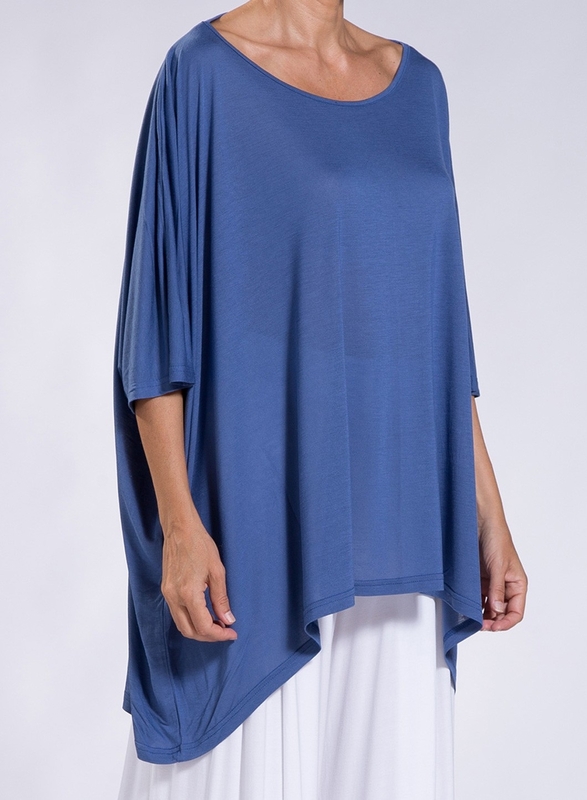 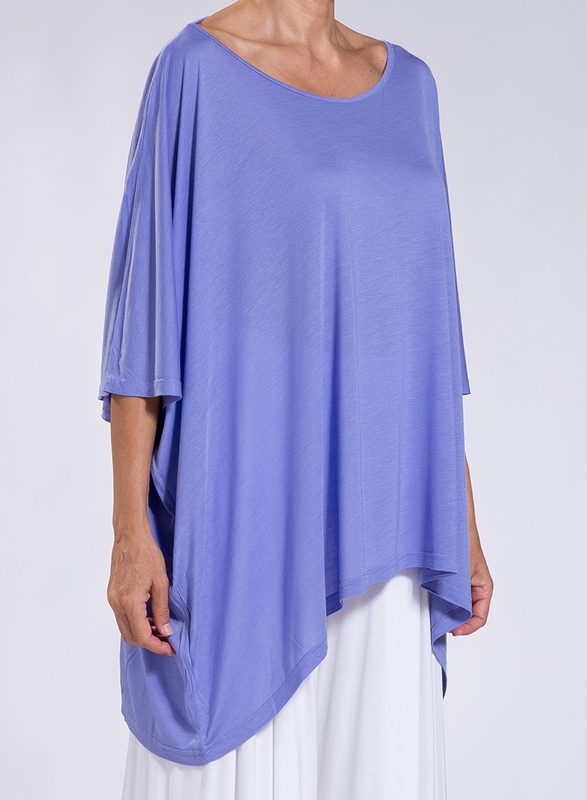 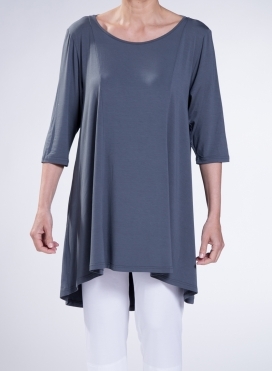 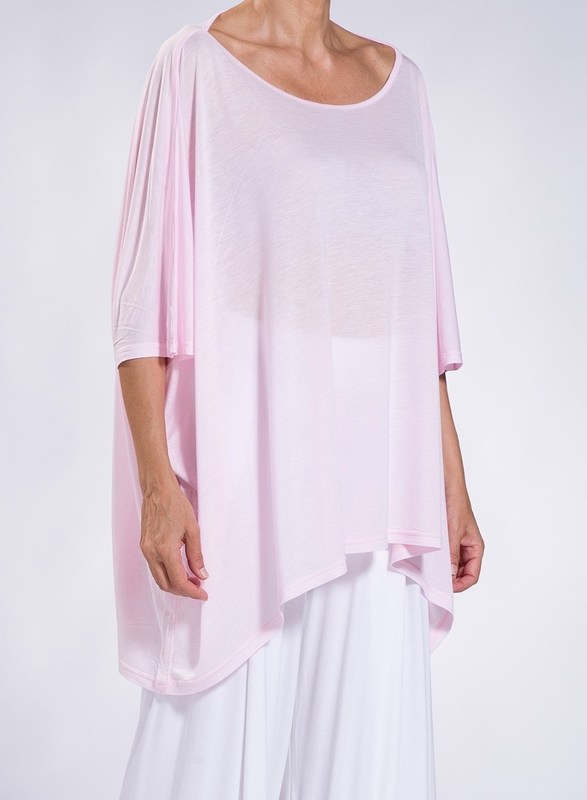 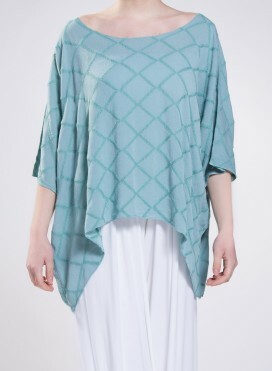 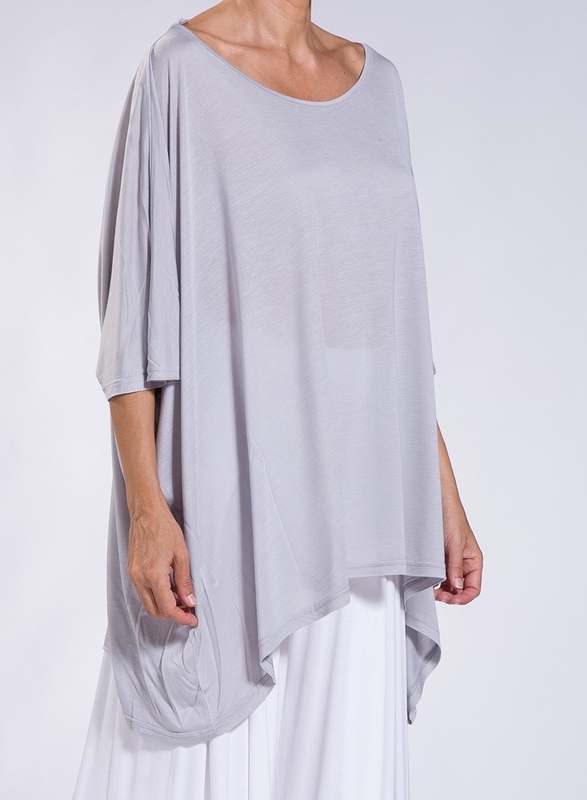 This oversized 3/4 sleeves top comes in onesize. 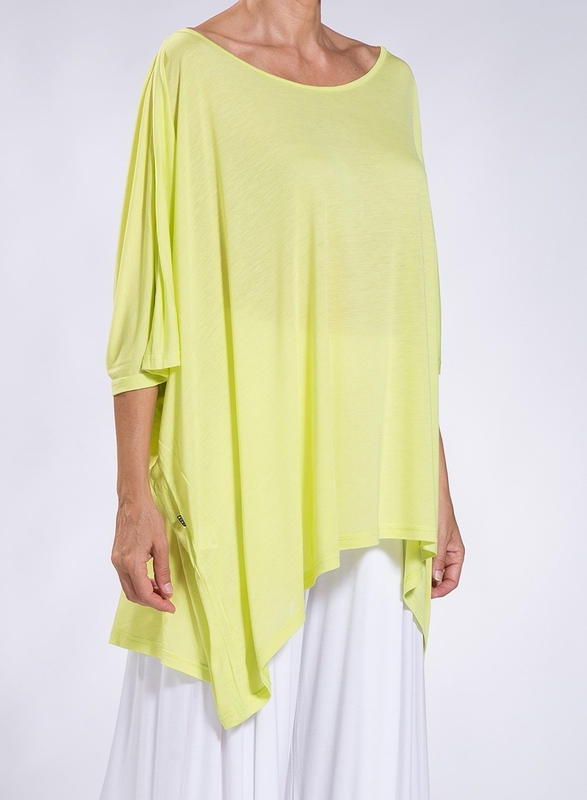 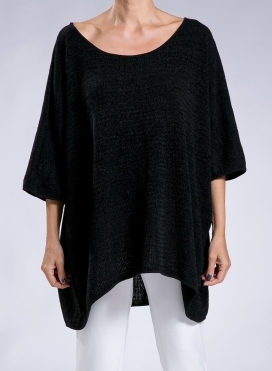 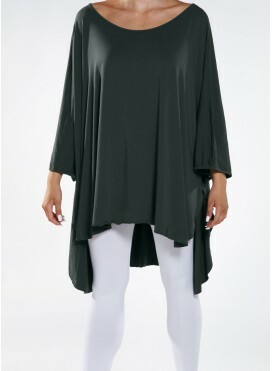 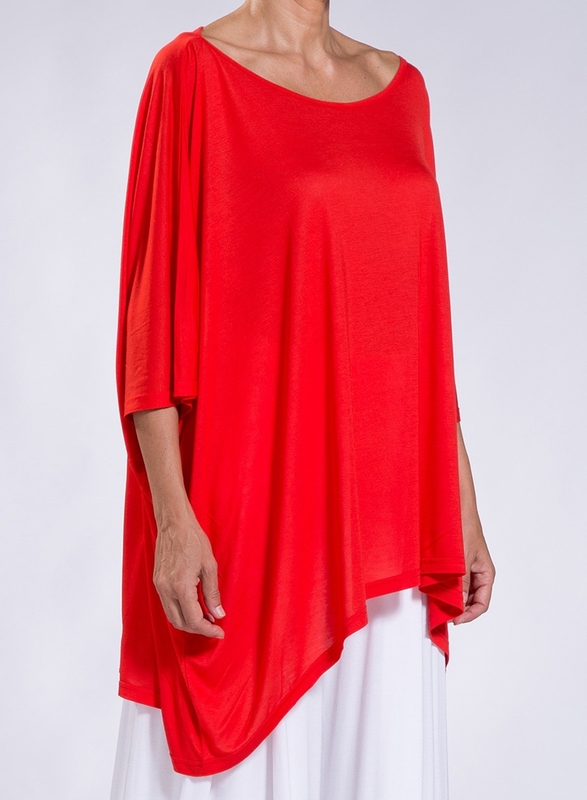 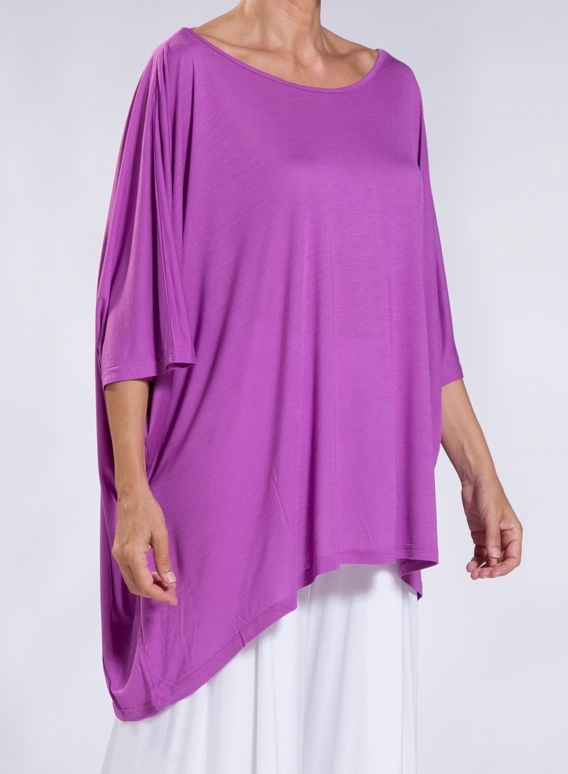 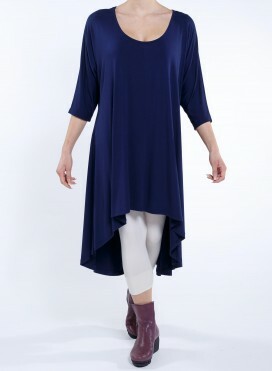 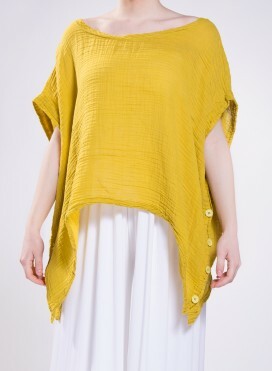 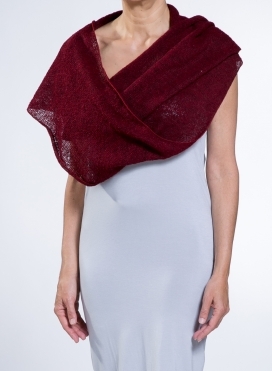 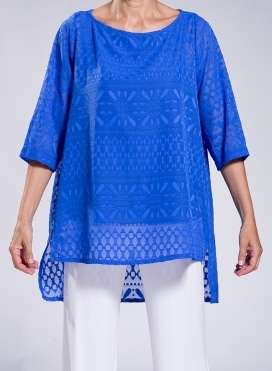 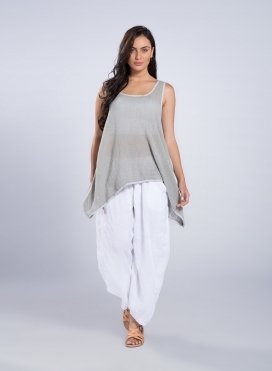 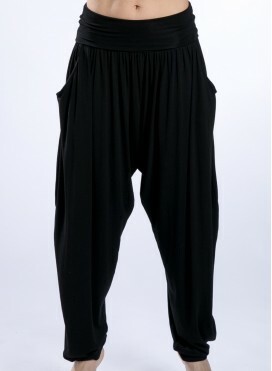 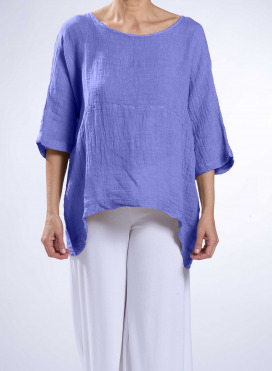 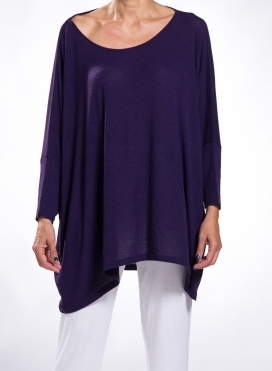 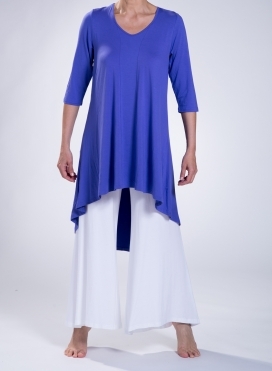 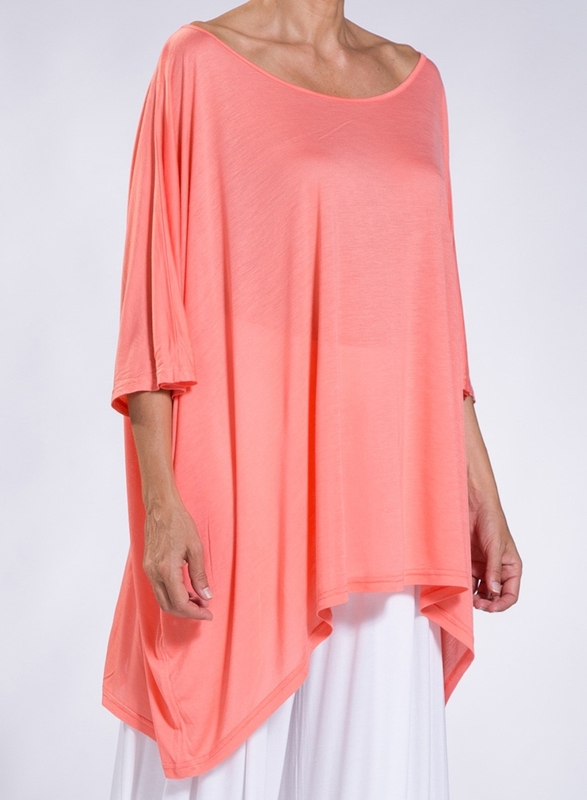 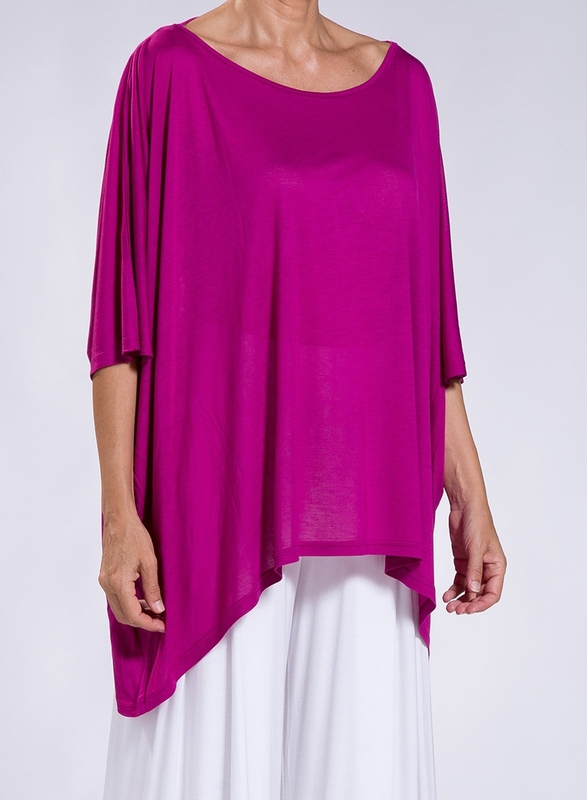 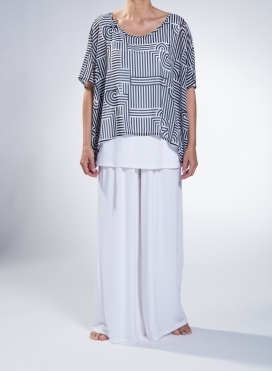 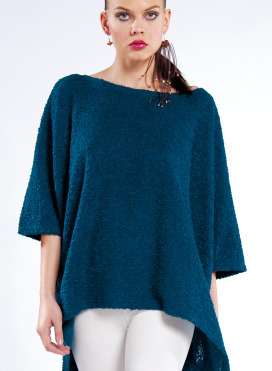 A flattering, loose fitting style that has an asymmetric hem witch is lower at the sides. 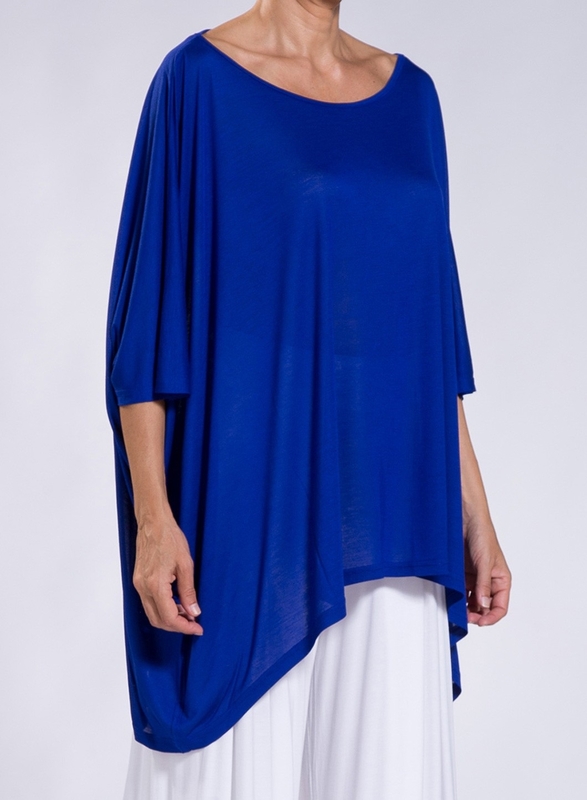 Wear this beautiful top with a pair of black leggings and you have a stylish outfit from morning to dawn.